Lapin is sad. On his journey from Paris to Edinburgh, he has lost his maracas. Can you help him find his favourite instrument? Tania Czajka is French and lives in Edinburgh. 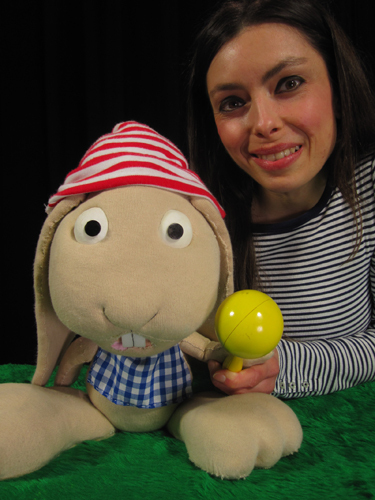 With her puppet company ’Le petit monde’ she tells stories in French about a rabbit and his friends. ’L’heure du conte’ includes a show (20 minutes), games and songs, and a snack.